100% FREE!!! Pre-Conference Seminar for Students! Are you a student who loves taking pictures and will like to network with the professionals in the industry and develop your photography potential? This is your opportunity. Don’t waste it! 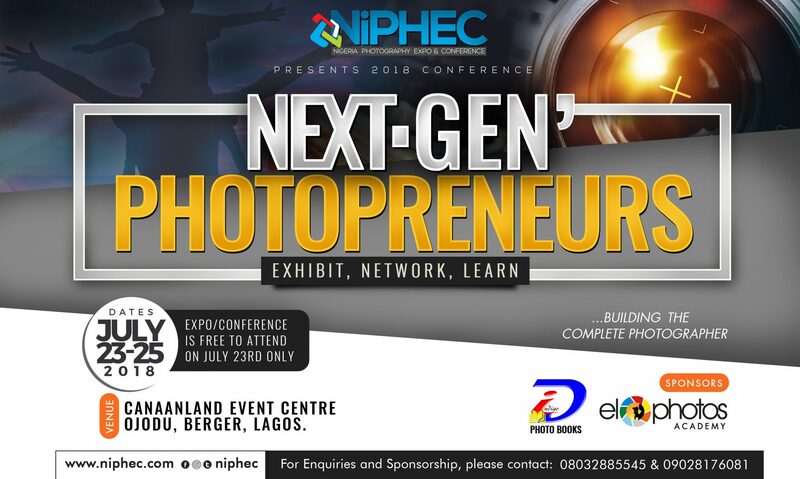 Nigeria Photography Expo & Conference (NiPHEC) is the largest photography and imaging show in West Africa. It is a platform where photography enthusiasts & professionals have the opportunity to explore photography-related products. NiPHEC is an annual photography event for professionals, students, educators and advanced amateurs interested in photography. Date: 5th April 2014. Time: 10am prompt. Venue: MCB6 Mass Communication Department, University of Lagos. To register, send an email to info@niphec.com with the subject “April 5 Seminar” & the following details: Name, Email address, Level in photography (Beginner/Intermediate/Advanced). Only registered students are eligible to attend this session. I’m interested. Pls send the date, time and Venue..